"Amy's smart, quick-witted writing style, ability to seamlessly integrate marketing strategies into copy and impeccable account management skills make her a tremendous asset. I highly recommend WritePunch for any copywriting need." Authentic recipes. Delicious dishes. Affordable prices. In other words, you don’t have to drive all the way to Miami to pick up authentic Cuban food. 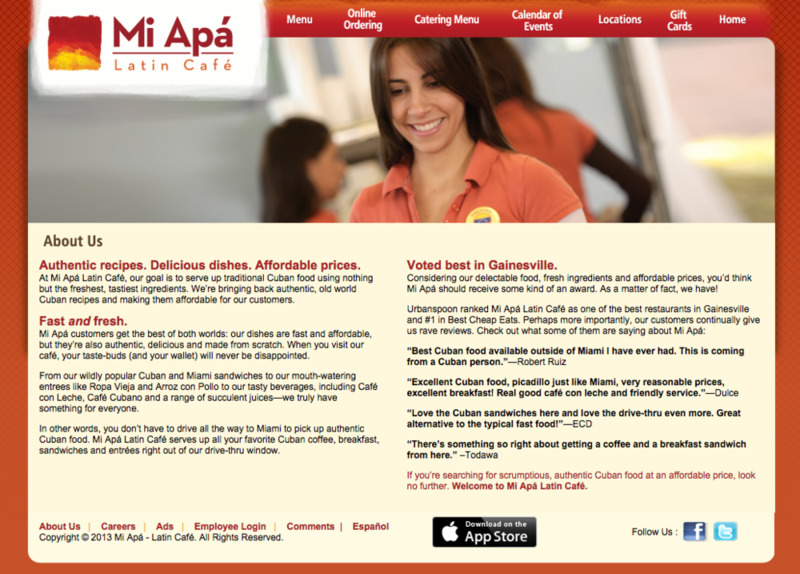 Mi Apá Latin Café serves up all your favorite Cuban coffee, breakfast, sandwiches and entrées right out of our drive-thru window.